I’ve decided to battle my two beauty calendars against each other. Who will win week one? 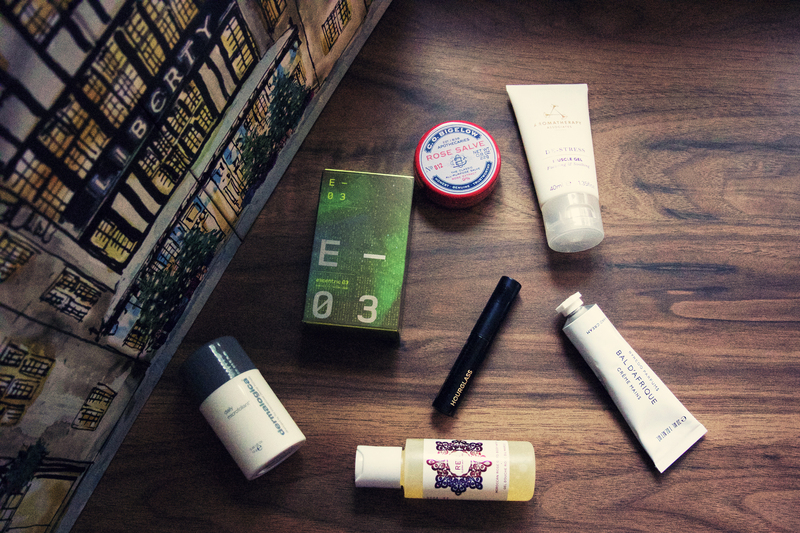 Day one – Byredo Bal D’Afrique hand cream. I’ve used this a couple of times and it smells wonderful. And expensive. Day two – Ren Moroccan Rose body wash. Ren is always a winner and is one of my favourite brands. Day three – Escentric Molecules 03. Husband has already stolen this from me. Day four – Hourglass Film Noir mascara. Hourglass is one of those expensive brands that everyone seems to love so it’ll be good to try this. Day five – Dermalogica Daily Microfoliant. I’ve already been playing with this and it is so good. Weird, but good. Day six – Aromatherapy Associates De-stress muscle gel. I think I’ll take this on holiday with me to use after a long day of walking about. Day seven – Co Bigelow rose salve. A repeat from last year. Don’t even care though, as this is my favourite lip balm in the entire world. Day two – Burt’s Bees lemon butter cuticle cream. Another solid item. Will look forward to slathering this on my hands. 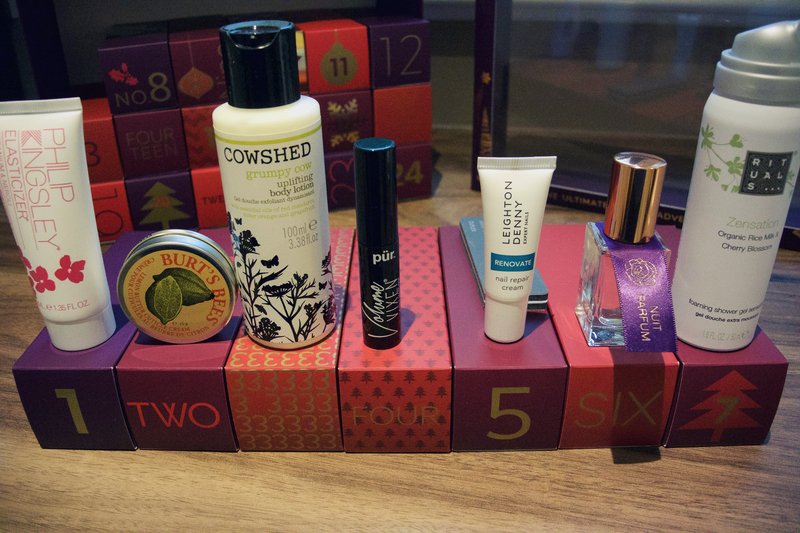 Day three – Cowshed Grumpy Cow body lotion. I am more into the Knackered Cow scent, but I’m liking Grumpy Cow too. Day four – Pür Minerals Volume Vixen mascara. Coincidentally, another mascara for day four. I haven’t heard of Pür Minerals before. Is the umlaut over the U for function or design. That’s my main question. Day five – Leighton Denny nail repair cream. I see Leighton Denny products in M&S fairly often, but I’ve only just discovered that this isn’t the woman from Gossip Girl. That’s Leighton Meester. Oh. Day six – M&S Nuit Parfum. This is apparently a perfume designed by Rosie Huntington-Whiteley. And yet is smells like something an old lady would wear. Day seven – Rituals Zensation shower gel. This looks fun – a gel that turns into a foam. I have a feeling Husband will be stealing this as well. Mainly for the Dermalogica and Co Bigelow. Although M&S put up a very good fight.